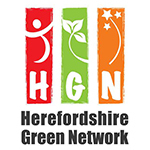 Join our HGN Members Meeting on Wednesday 20th June 5 – 6.30pm, all welcome. Come and share the activities of your own local environmental group, business or interest – and hear what others around the county are getting up to. Click here to find the Agenda – its top of the list! .. & stay on afterwards for a drink & a social with others from the Network before going into our Sociocracy Workshop at 7.30pm with local expert Roz Brown.